The last day of my trip really! Tomorrow would be spent flying back to Rio and then waiting for my flight home. 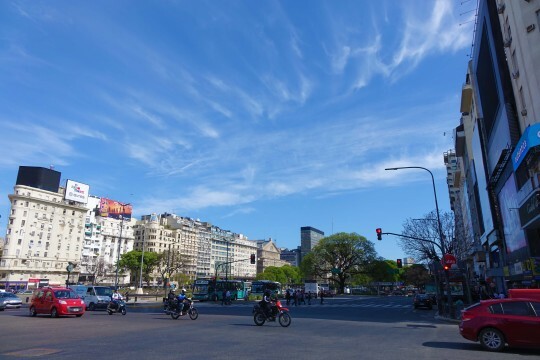 I got up bright and early to try and make the most of the day and headed out – once more – into a Buenos Aires that was beautifully sunny. 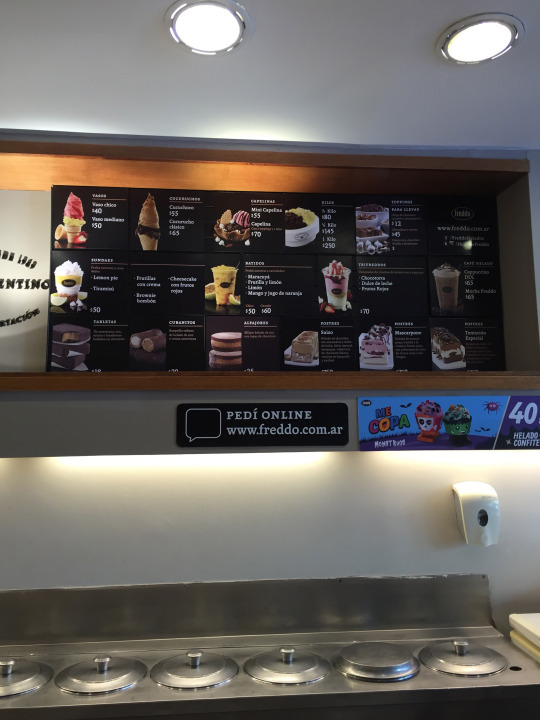 First stop was breakfast – so just to ensure I’d tried the local McDonald’s version I headed to a nice looking one near my hotel. 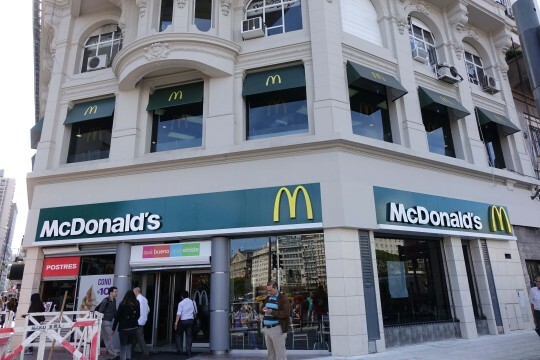 The breakfast options were pretty limited – cafes here for breakfast seem to serve croissants, or ham and cheese croissants or ham and cheese toasted sandwiches, and that was kind of the options in McDonald’s too. 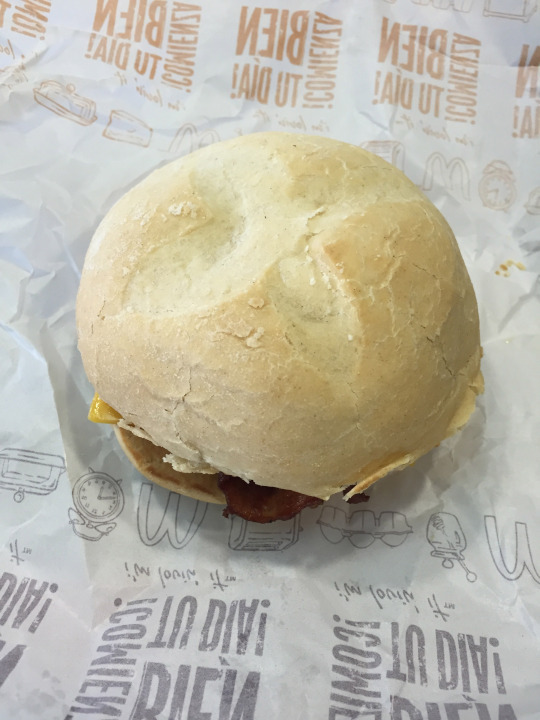 I went for egg, bacon and cheese on a Portuguese style roll. 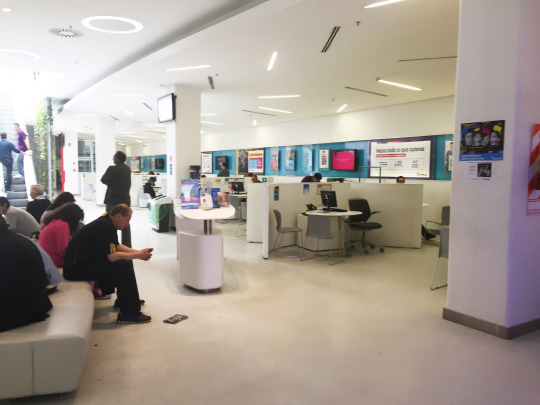 I’d noticed when I got up that the internet on my phone had stopped working, so before I headed back to the hotel to grab my stuff for the day out, I popped along to a branch of the phone operator I’d been using – Personal. The first branch I found on a map had closed, so I headed to the next one. Firstly I waited for someone to check the data settings on my phone and pop them all in – I was pretty sure that wasn’t the problem though as it had worked fine up until now. Then I got seen by a really friendly lady who spoke great English – result! She told me that sometimes it just cuts off if you don’t have any credit – so she called for me and got a 9 peso (about 65p) emergency credit on the phone, and told me not to bother paying it. Which was nice! That seemed to do the trick. I also pointed out that the internet gets INCREDIBLY slow once you use more than 30MB, and she said that’s just the way it is here because wifi’s pretty freely available. 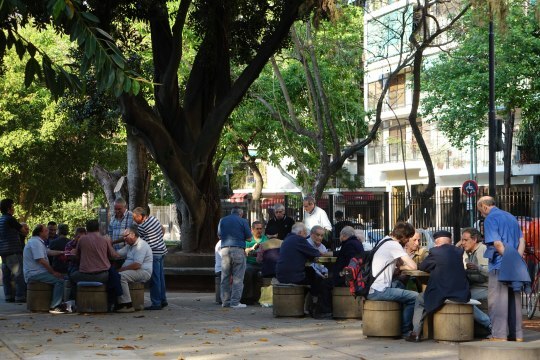 After heading back to the hotel to grab my stuff and write my blog, I headed off to the Palermo area of the city. 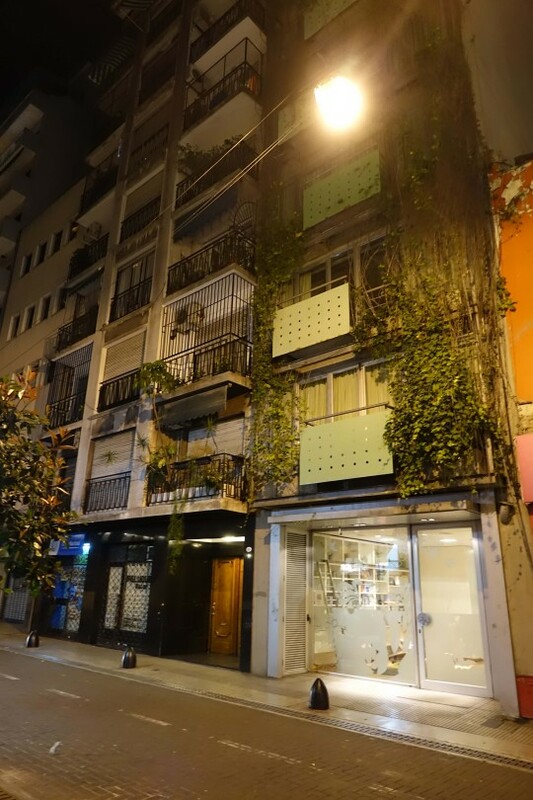 I didn’t really have any plans – I’d just read it was a nice area to wander around with cool shops. So, I picked a place for lunch at random out of my guide book, jumped on the metro, and after a 20 minute walk in the heat, I arrived at Arevalito – a small cafe which apparently did healthy food. 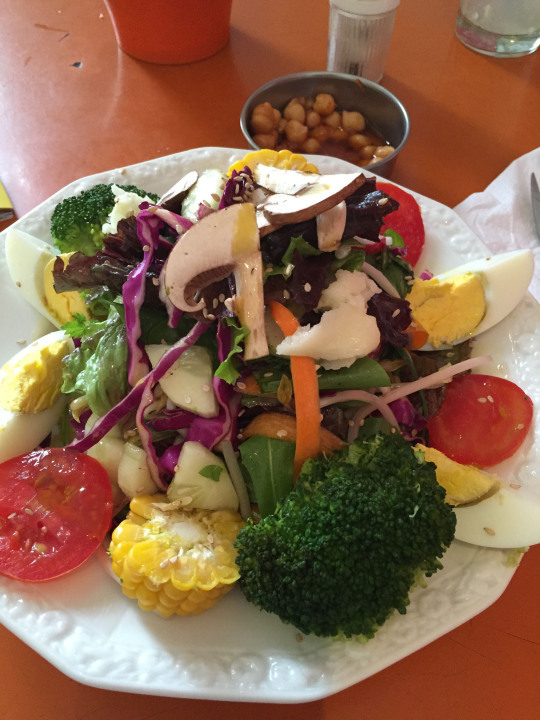 This time I was determined not to get a burger so ordered a salad – the first time I’d seen a plate of vegetables in ages! It was delicious. Look at all those veggies! After lunch – washed down with a glass of home made lemonade with mint – I wandered around Palermo’s streets. 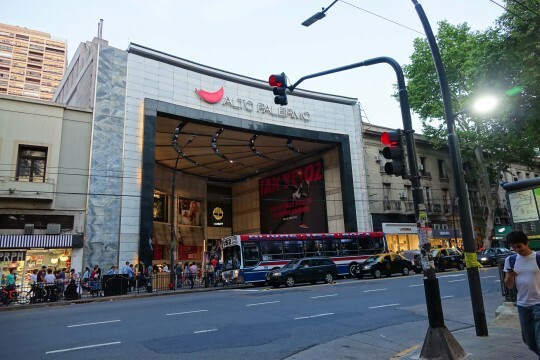 They held a mixture of small boutiques that had been built in buildings that had previously been houses, and stores like Converse and Adidas. It was really pleasant strolling around. It was kind of a like a nicer version of Covent Garden in London – but without the tat! 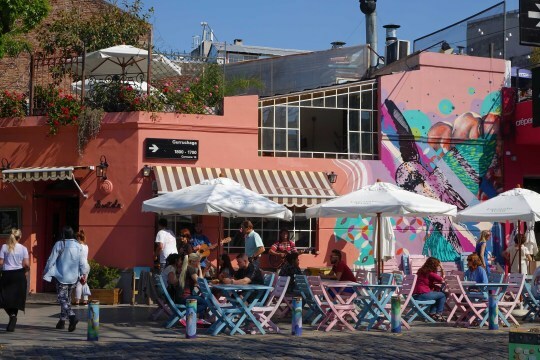 People dined in lovely looked cafes and restaurants, while musicians played in the streets. It was just a lovely atmosphere and vibe, and I just wished I’d managed to get there earlier in the day. 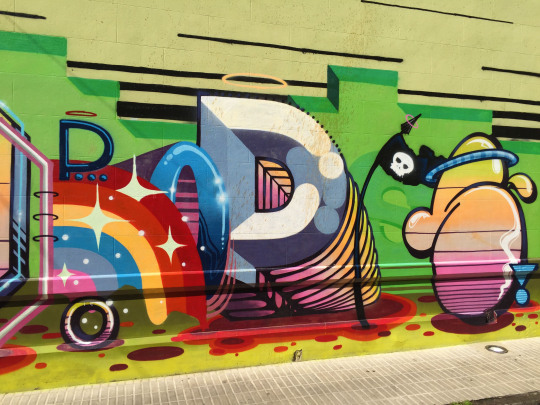 There was also loads of really cool street art. 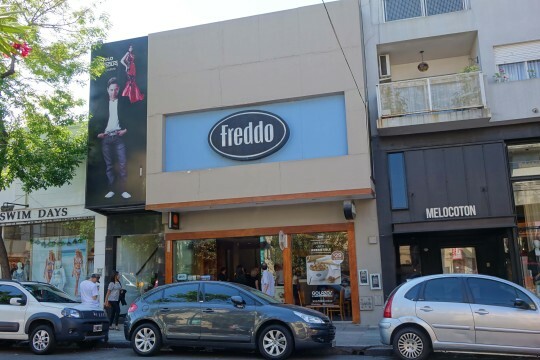 Strolling around, I noticed something I’d become quite familiar with by now – Freddo! And I couldn’t resist. It was too hot to not have an ice cream! This time I sneaked a pic of the menu. The sundaes looked amazing, but I went for a small cup this time (after learning my mistake with a large cone the previous day), and ordered what I thought was a topping of chocolate chips. Flavour wise I went for lemon and dulche du leche with brownie pieces. 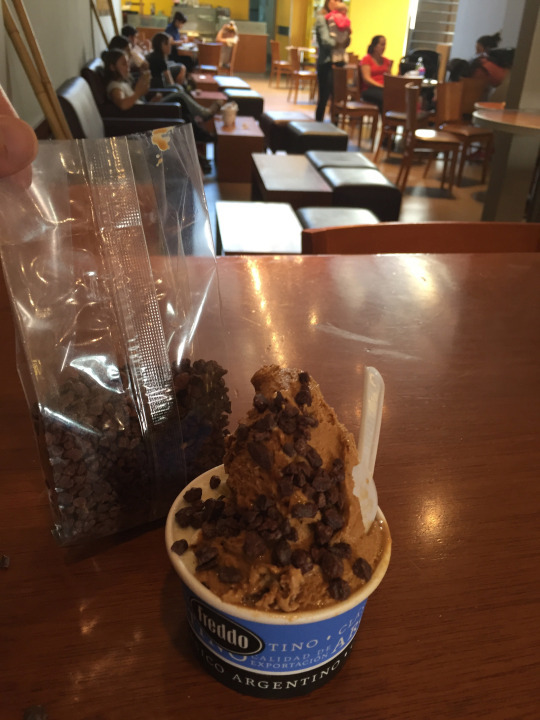 Obviously I got something wrong with the ordering as with my ice cream I got a bag of chocolate chips 🙁 The queue was enormous too – so it took a while before I could sit down and enjoy my ice cream. People were buying enormous tubs to take home. I threw the rest of the chocolate chips away by the way. 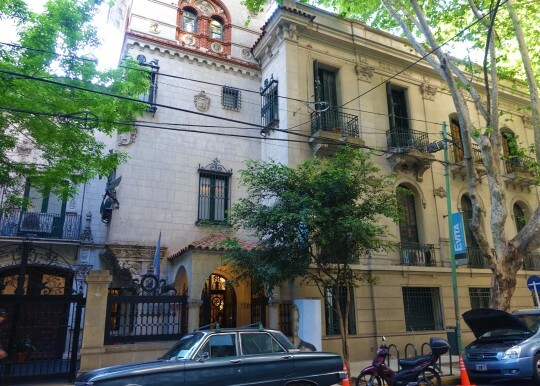 I’d spent so long just soaking up the sunshine and atmosphere that it was now about 4.30pm, and there was one other place I wanted to visit – so I did another 20 minute walk to Museo Evita. Learning a bit about her from the bike tour I did, and also seeing her grave had made me want to find out a bit more about her and her husband, Peron. Unfortunately you weren’t allowed to take pictures in the museum, but I did manage to sneak one when there wasn’t a security guard around. Great eh? Sorry about that! 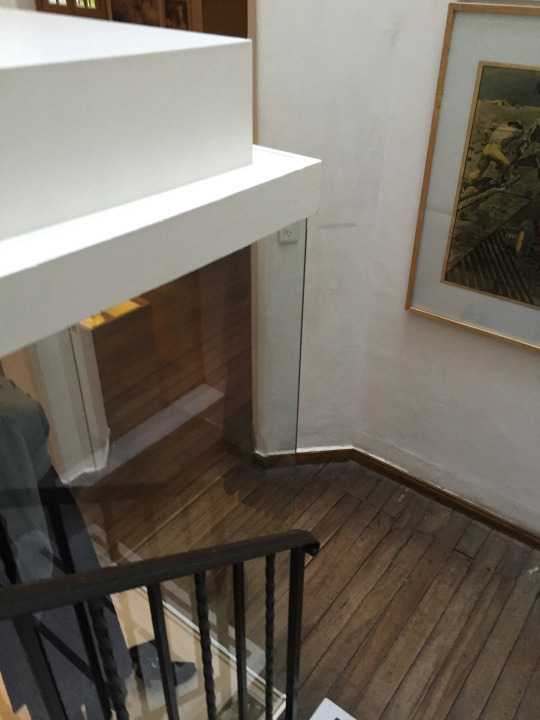 The museum was split over two levels, in a house that had previously been a womens’ home Eva Peron had set up. They had loads of displays of her documents (like her marriage certificate) and clothes and jewellery, and it was interesting. There was also a fair about of information in English, but it didn’t go into the kind of detail I’d been hoping for. It was all about her – which is fair enough, it’s her museum! But I’d been keen to find out more about that whole period in Argentina. I think I might have to rent the movie. Santiago from the bike tour said it’s pretty accurate, so I’ll take that as a recommendation! 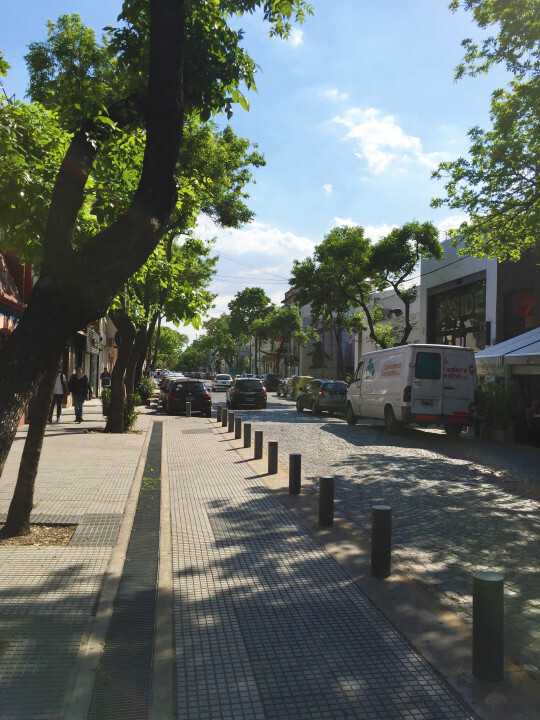 Wandering back into Palermo’s main thoroughfare, Avenue Santa Fe, I passed Buenos Aires’ botanical gardens. I didn’t go in, but I did stop to watch a load of old men playing chess. Cool! 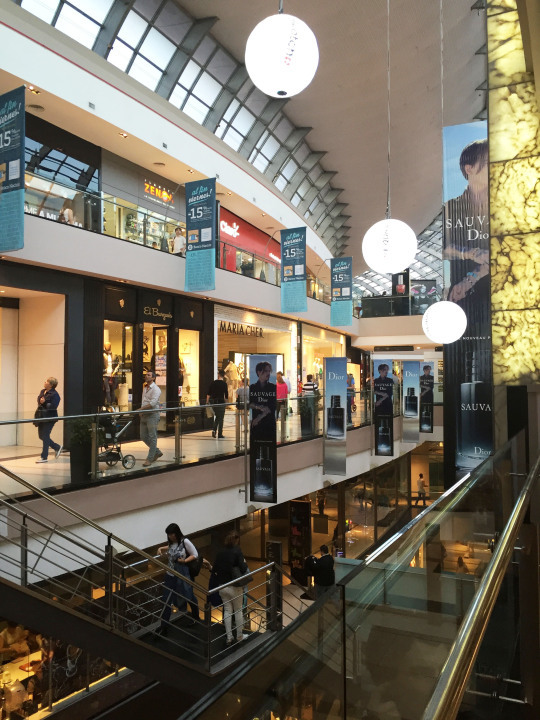 Then I spotted Alto Palermo – one of the city’s biggest malls so thought I’d pop in for a look. 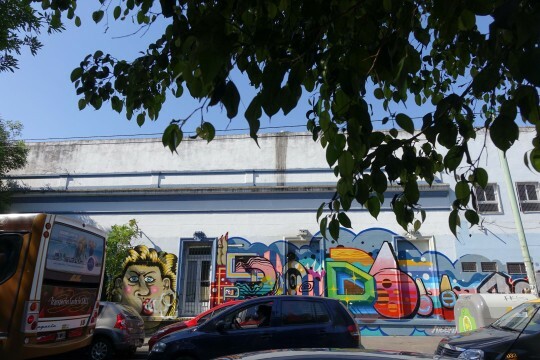 It was really nice – much nicer and more normal than the ones I’d been to in Rio. I picked up a phone case for my sister, but still didn’t see anything I wanted to buy! 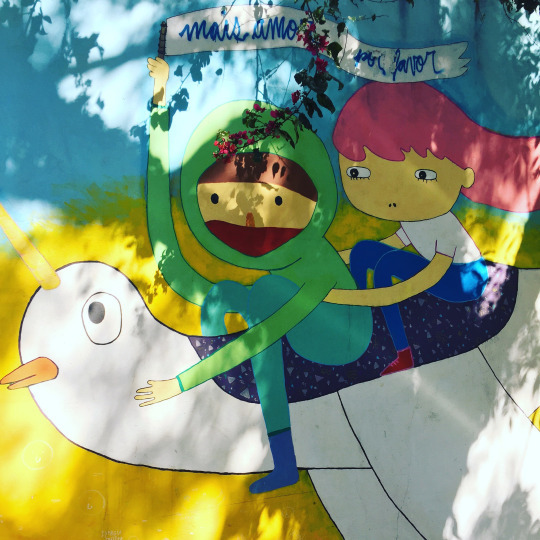 I jumped back on the metro – I had to be up at 3am, and still had to finish my packing. But at the same time, I kind of wanted a nice meal to celebrate the end of my trip. 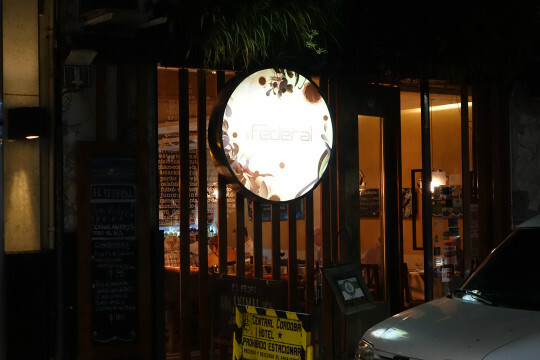 Looking at the restaurants in my guide book for the area my hotel was in, Retiro, one stood out – called El Federal. I tracked it down, and after struggling with an enormously heavy door, stepped inside. It was immediately clear this was a posh fancy restaurant that took food seriously. I was given a menu and almost got up and left, but then I thought – what the hell, it’s my last night, time to treat myself! There were groups in for dinner, but also other people on their own, which made me feel less self-conscious. 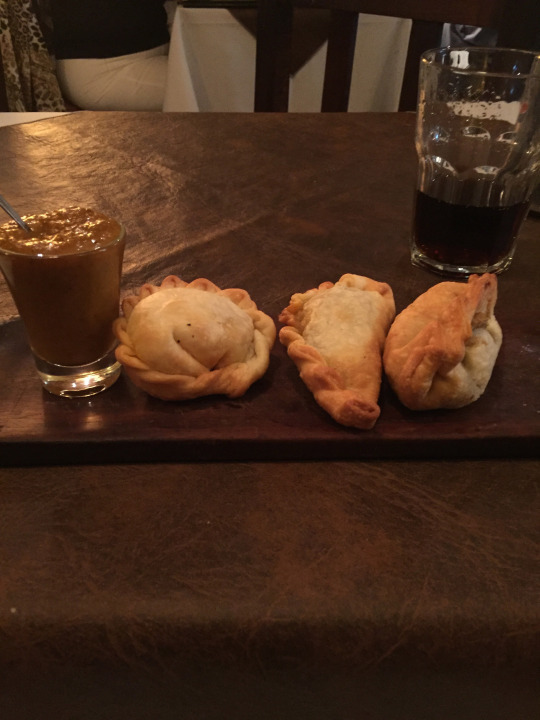 For a starter I had a trio of empanadas – one with cheese, spring onion and sweetcorn, one with beef, and one with lamb and fresh mushrooms. They came with a little glass of very spicy rococo sauce. They were the best empanadas I’ve had on my trip – little fluffy parcels of pastry with really tasty fillings. 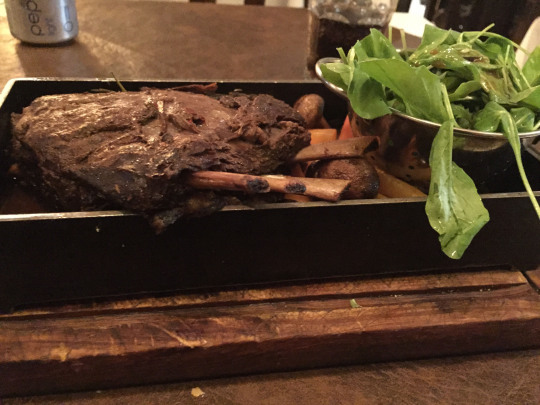 Then it was time for the main – I ordered the house speciality – slow cooked lamb with malbec and merquen sauce (I need to look those up) accompanied by baby carrots, mushrooms, and a rocket salad. It was enormous. Those Argentinian portions! But delicious. All in all my meal came to about £35 (I didn’t have alcohol seeing as I had an early start the next morning and a long two days of travelling). 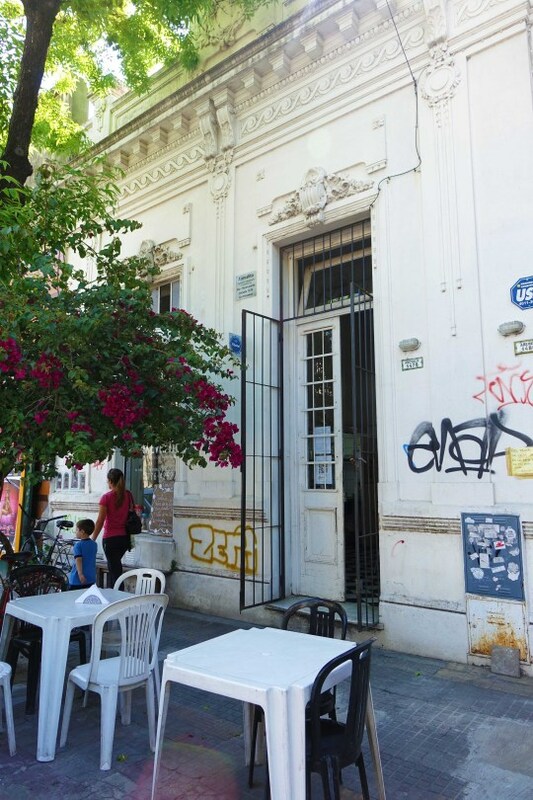 I think that’s great value, and it would have cost much more in London, so do check it out if you’re ever in BA. 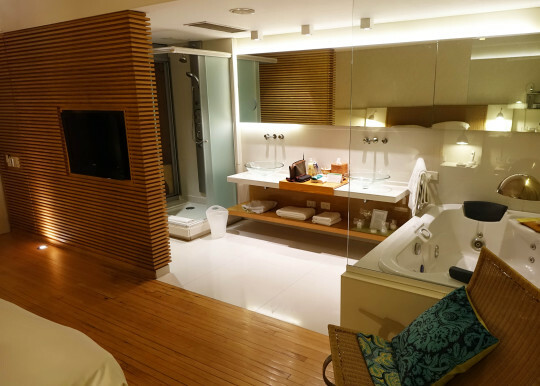 And the room was just brilliant – it wasn’t particularly expensive, so it is great value. I only wish I’d spotted the room’s own sauna (just to the left of the shower there) in time to try it out!